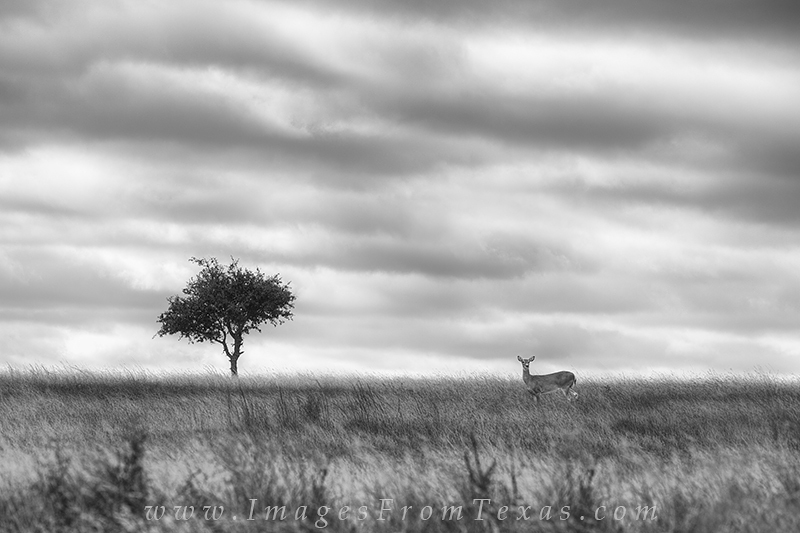 I was driving home from Pedernales Falls State Park in the Texas Hill Country when I saw this deer on a small rise. It was a gray morning, but I thought this view might turn well into a black and white image. I turned around, quickly set up my tele and tripod, and snapped a few shots. He posed and then quickly bounded out of sight. Photo © copyright by Rob Greebon.